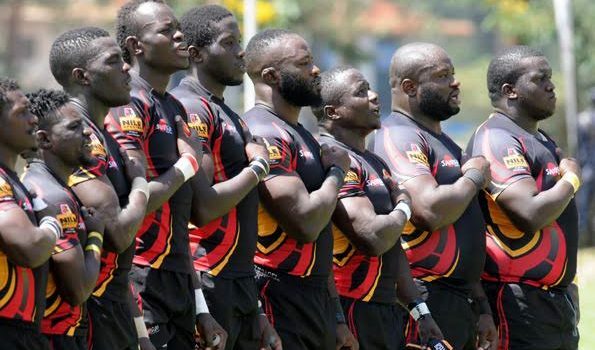 Kampala – The Uganda Rugby Cranes ended their 2018 Africa Gold Cup on a low as they were defeated 38-18 by Zimbabwe at Kyadondo. After winning their last two games of the competition at the same venue, it looked like they would see off Zimbabwe but it was not to be. The Cranes got off to a poor start as they conceded an early penalty and seconds later Connor Pritchard powered his way beyound the white wash for the opening try of the tie for the visitors. Down to 14 men with Aaron Ofoyirwoth sin-binned for a dangerous tackle, Rugby Cranes were penalized for diving into the ruck, and a quick tap from Tafadzwa Chitokwindo caught the Cranes sleeping and he sneaked in the second try that Chris Tambwera converted for a 14-00 lead. Byron Oketayot cut the deficit with Uganda’s first try. From a line-out and rolling maul, Oketayot picked the ball and ran through to the try line and Philip Wokorach scored the resulting conversion. Minutes later, Wokorach slotted in a penalty to cut the deficit to 4 points. A few minutes to the beark, Robert Masendi’s poor attempted pass was intercepted by Brendon Mandivenga who raced to the white wash and extend Zimbabwe’s lead to 19-14. At the start of the second half, Zimbabwe increased their lead with Chitokwindo getting in his second try of the game. Uganda went on the attack and Michael Okorach forced one over but Wokorach who had an off day pulled his conversion wide. Wokorach immediatly made amends with a penalty to bring Uganda within six points (18-24). Zimbabwe Sables maintained their Africa Rugby Tier 1A status with a dominant 38-18 win over erratic Uganda Cranes. The Sables needed nothing short of victory to stay afloat and started the game with real intention putting the hosts under pressure early. The Sables then worked the ball through several hands and Shingirai Katsvere was at the end of it scoring a try with just over ten minutes to play. Uganda’s fight back hit a dead end as Shayne Makombe’s try in the 78th minute that Lenience Tambwera convereted put the game to bed for Zimbabwe and secured Tier 1A status. Meanwhile, Namibia defeated Kenya 53-28 to successfully defend the Gold Cup and qualify for next year’s World Cup. However, Kenya can qualify for the World Cup through a global repechage competition that will be played in France. The East African nation will tussle it out with Canada, Germany and Hong Kong.